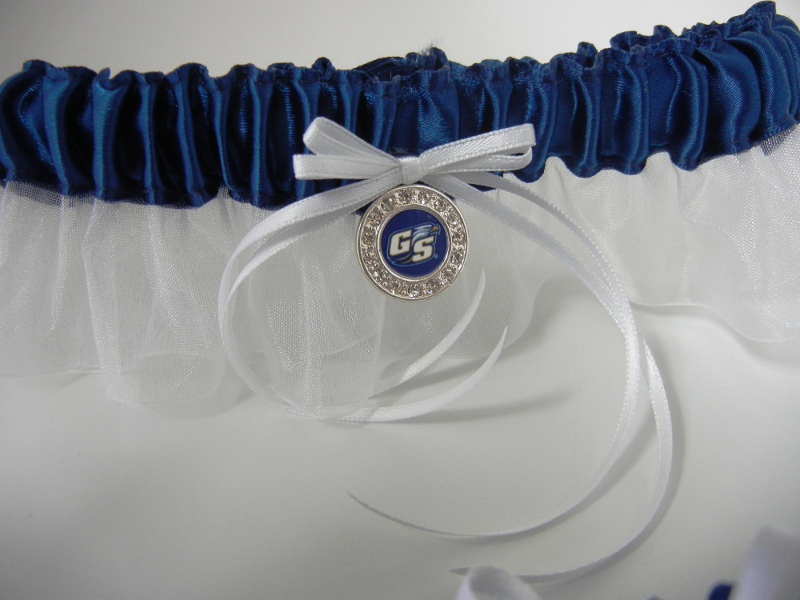 A spunky inspired garter decorated in your school colors with a licensed Georgia Southern University charm. Show off your school spirit with these one of a kind garters. Simply Charming is not affiliated with or sponsored by Georgia Southern University. This is a handcrafted garter accented with a legally purchased and licensed charm. It is not represented as a licensed Georgia Southern University product.